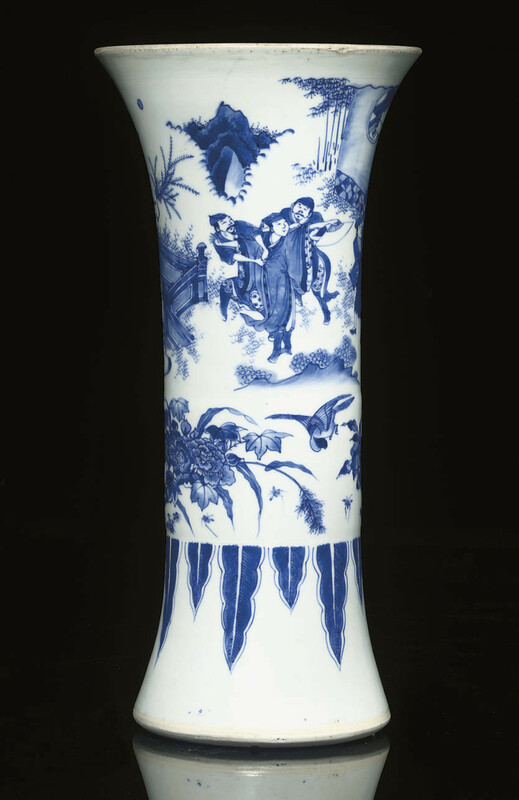 with flaring rim, painted to the body in three distinctive bands, the upper most with three ladies on a terrace watching four gentlemen within a fenced garden, all above a panel of birds inflight amongst flowering peony and prunus branches, the lower section with inverted stiff leaf motifs, the rim and base edge with slender bands of incised hatchwork motifs -- 16in. (40.6cm.) high.